I've noticed that some foods are hard to photograph, especially brown foods, and these baked beans are no exception! But, they are delicious Baked Beans and I've been making them forever, it seems. 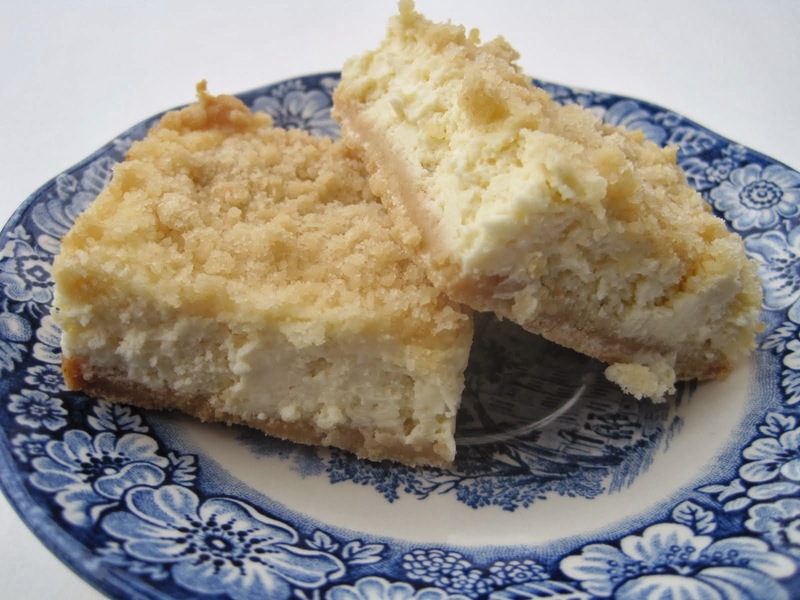 I didn't have a written recipe for them until our oldest son got married a few years ago and I suddenly needed a recipe for them to follow and all I could do was say, "taste as you go"! So, I finally got it all written out, so that I can pass it on to all our children! These are sweet, smoky and a little spicy, and a great addition to any summer barbecue. Cut the bacon in half and brown in a skillet until bacon is crispy. Remove bacon to paper towel lined plate to cool. Drain all but 1 Tbs. bacon grease from the skillet. Into the skillet add the diced onion and cook until the onion is soft and transparent. Remove skillet from heat. In a large bowl, add the 4 cans of pork and beans, the cooked onion, the bacon that has been crumbled, and the rest of the ingredients. 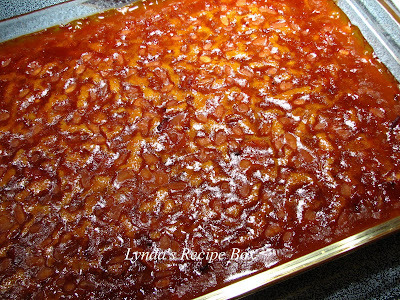 Stir well and pour into a 9x13 inch baking pan and place in a preheated 350 degree oven and bake for one hour. Serve warm or cold, they're delicious either way! If you like more spice, or less spice just adjust the black pepper and cayenne. 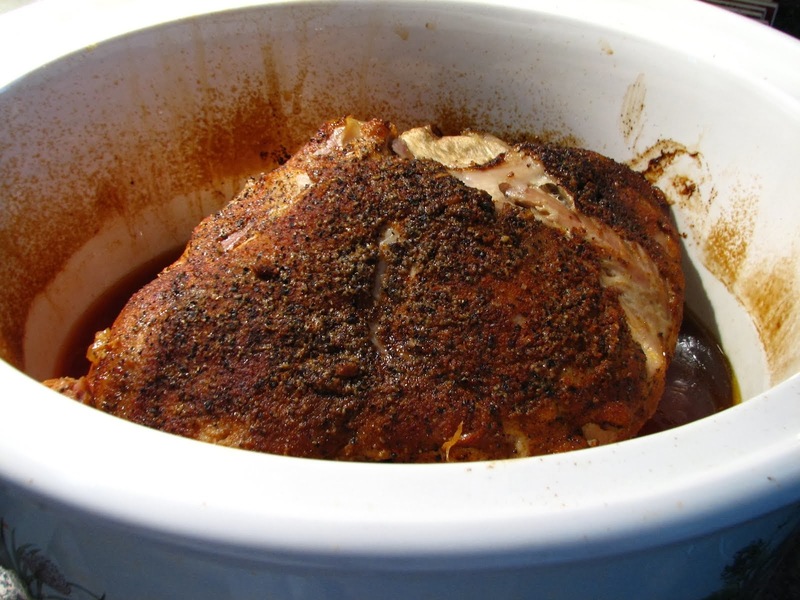 If you prefer not to use bacon, but still want a distinctive smoke flavor, just add 1/2-1 tsp. of smoke flavoring to the beans while stirring up. Enjoy! Do you like baked beans and if so, do you like them piping hot from the oven, cooled to room temperature, or somewhere in between? Yummmmm! I love baked beans! Lynda, these look delicious. We'll have a crowd here at the end of July. I can make these them. Have a wonderful day. while I am not a fan of baked beans..my husband LOVES them! Ohh yum, my southern husband will love these! I'm drooling... haven't eaten baked beans for a long time! Let me tell you...the beans on the plate are super easy on the eyes...no difficulty there! These sound delicious. Bookmarked. I think they look awesome, actually, because my stomach is growling as I look at that! yes, it's definitely hard to capture the beauty of baked beans in a photograph. and they are beautiful. your version sounds quite scrumptious, and very similar to one i make and devour. lovely! 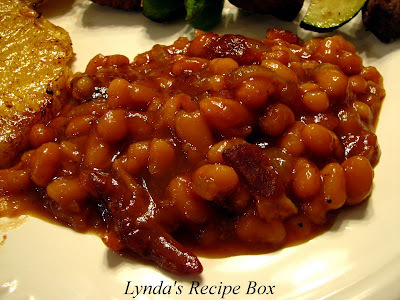 My family adores baked beans and I love how you jazzed them up! Will definitely try this. I do agree that some foods are just not photogenic - but who cares - as long as they are tasty and get eaten. I think your photos looks great - they sure made my mouth water. I love this recipe and can't wait to make it. I think your pictures look great - me, I always have trouble with photos of white foods. 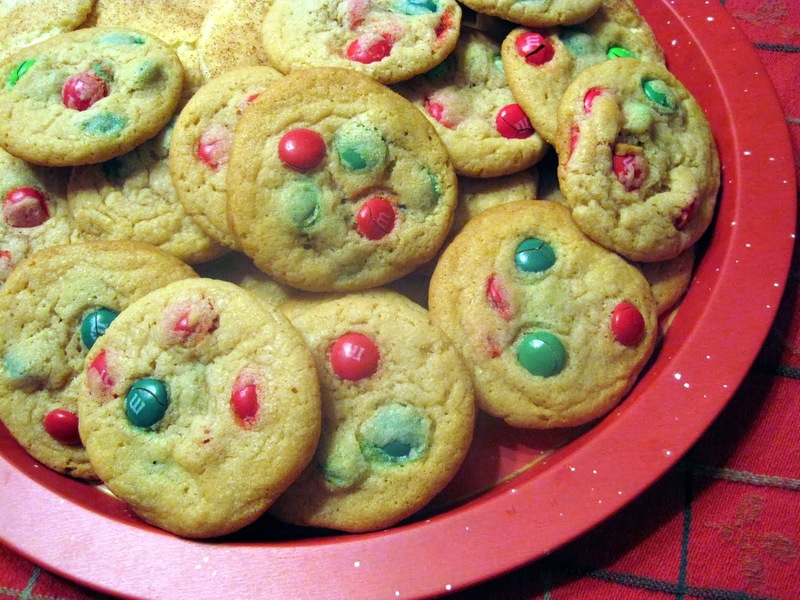 This recipe is right up my alley - I can tell how delicious they are! Me, I prefer baked beans piping hot but I'll eat 'em at room temperature too. Not too fond of cold. Lynda what yummy looking beans. Perfect anytime meal. Wow! I am speechless! And no matter how hard brown food is to photograph these pics make me want to eat this whole panful of beans. I can just taste how flavorful they are! (and personally I have more trouble with red - my red food looks like it is radioactive). I like the sound of making your own baked beans and these sound wonderful.